One of about 30 Asian species or Wild vines with complete botanical name Vitis coignetiae Pulliat ex Planch. In the name of the two major French scientists Victor Pulliat (1827-1896) and Jules Émile Planchon Honored (1823-1888), who have made the research worthwhile. From the second, the species was first scientifically validated in 1883. 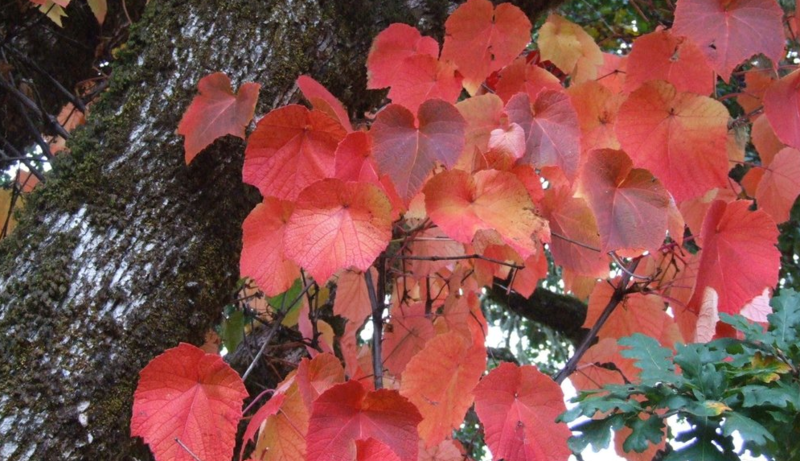 She becomes scarlet by the autumn carmine discoloring leaves also called rusty vine or scarlet wine (Crimson gloryvine) and therefore on house walls like as Zierrebe used. This page was last modified at 1 August 2018 at 12:53.